Greetings, and welcome to our exciting new series of experiential travel blogs. For the past two years, my wife, partner, and content creating cohort Heidi Csernak and I have travelled throughout South Eastern Ontario, sharing our stories and experiences, inspiring readers to get hyped and plan an escape, day-trip or staycation of their own. 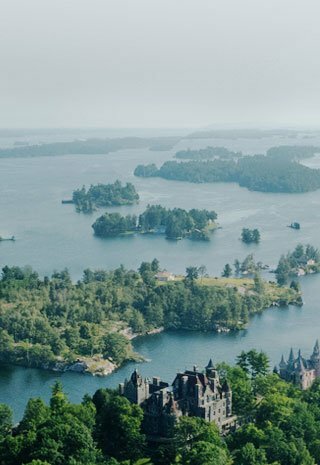 Between now, and February 2019, Heidi and I will be creating an exclusive series of feature articles showcasing the world famous 1000 Islands Region and Gananoque, Ontario! 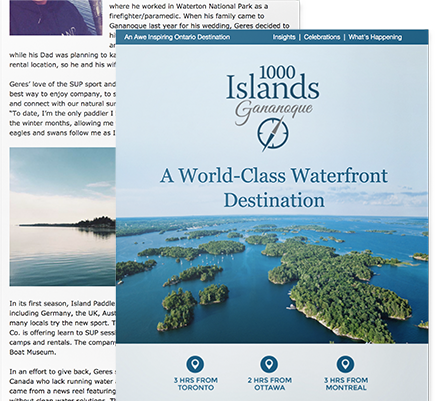 From unique and luxurious accommodations to exquisite dining, outdoor adventures and hidden gems, we are thrilled to have the pleasure of working with Tourism 1000 Islands and the amazing community of Gananoque! 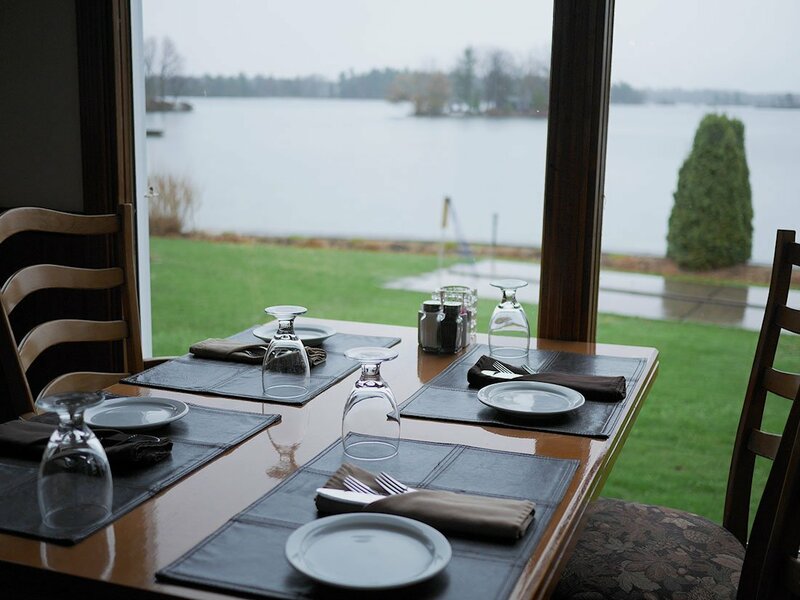 For our inaugural adventure, we set our sights on the beautiful and historically rich Glen House Resort in Lansdowne, Ontario. 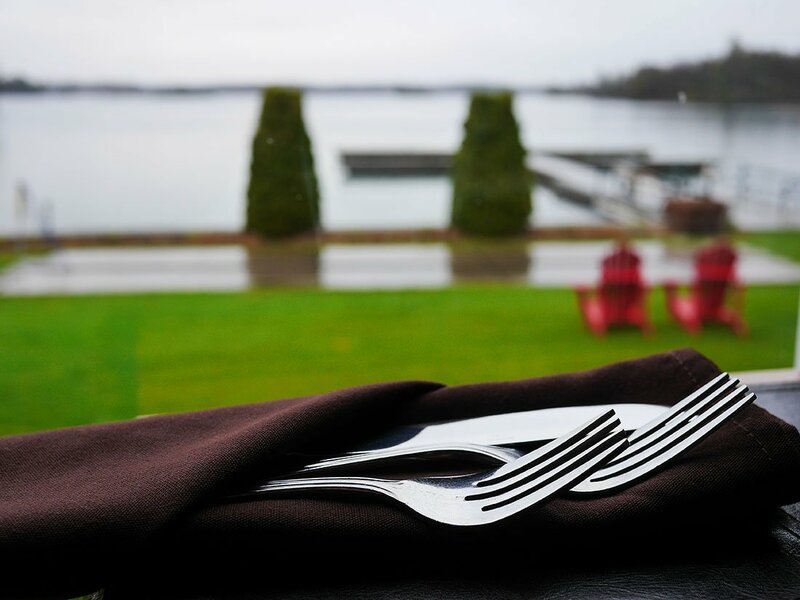 Nestled in a cozy inlet along the majestic St. Lawrence River – this fabled riverside getaway has been capturing the hearts of travellers both local and international alike – since before the turn of the century. 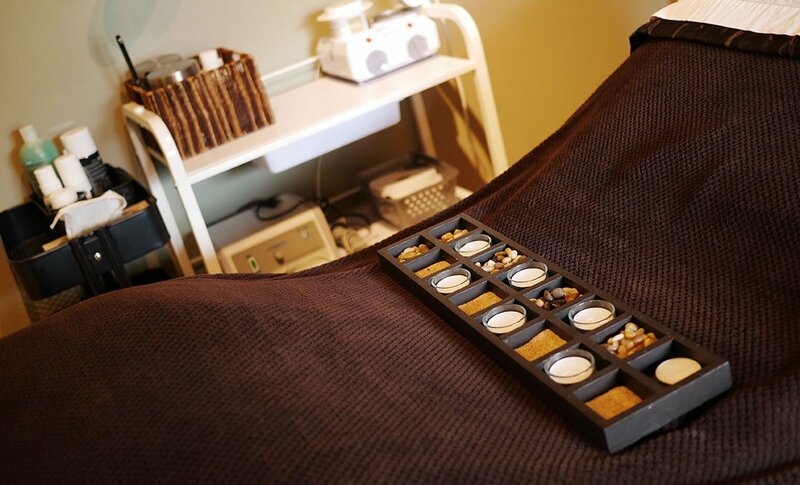 Without further delay, join us for an amazing overnight escape like none other. It was mid-morning on a particularly overcast Sunday when we made the short drive from Kingston to Gananoque along Highway 2. I’m horrible for skipping breakfast so it goes without saying that the cranky #foodie within was approaching critical mass. 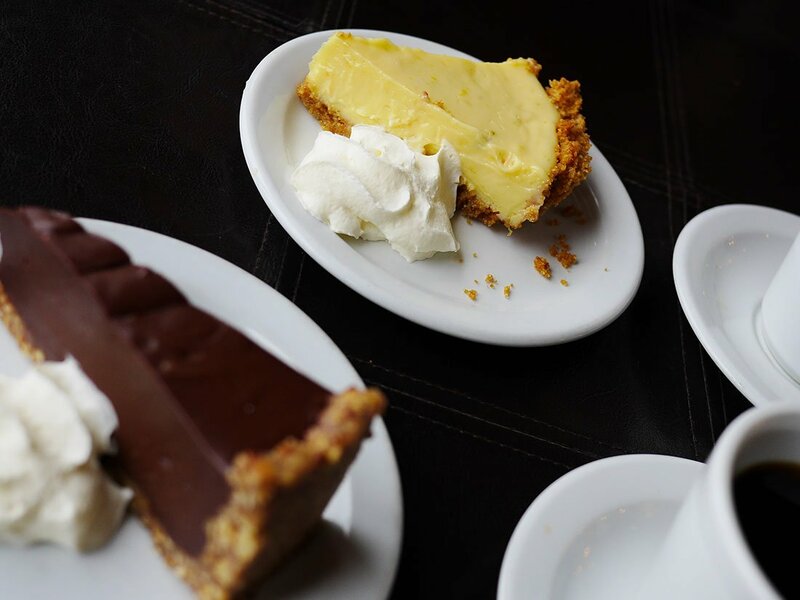 After easily finding a parking spot on King Street we made a beeline for Moroni’s Italian Ristorante to get the most important meal of the day sorted. 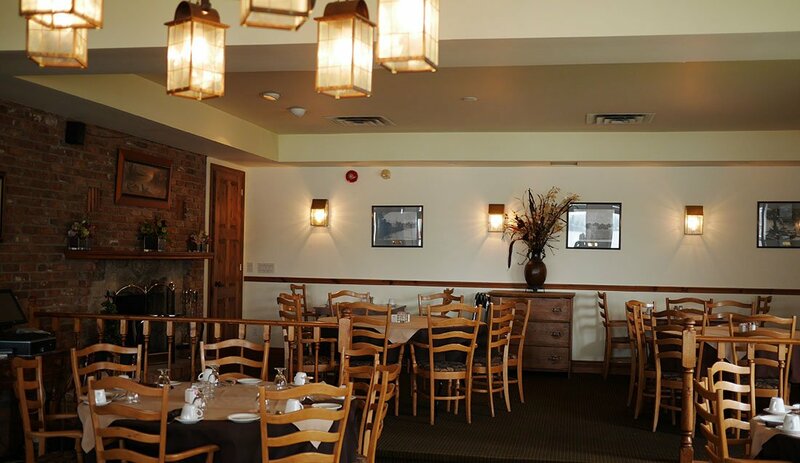 Moroni’s has been a pillar of Gananoque’s restaurant scene for as long as I can remember – and then some. 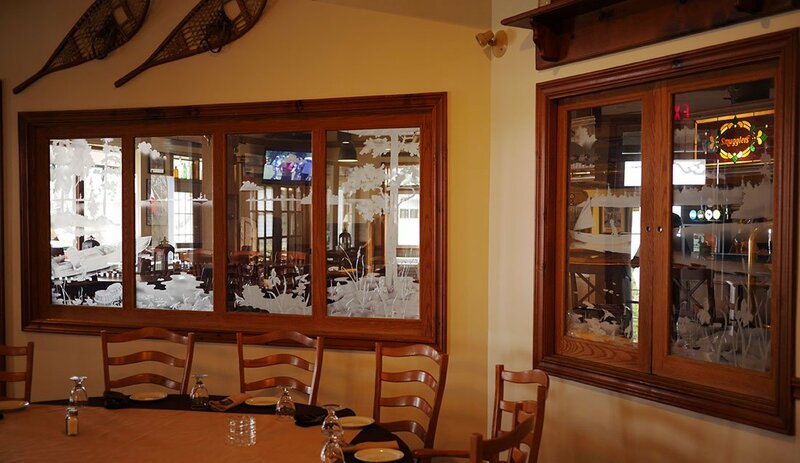 First opening in 1961 this has been the place to enjoy a nice meal in a warm and family-friendly atmosphere. 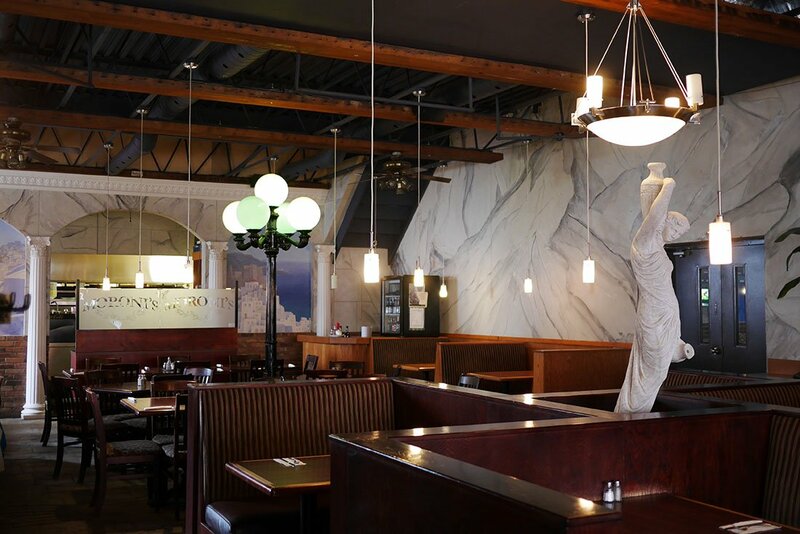 There is a huge variety of menu items to choose from between breakfast, lunch and dinner with their signature pizza being a true claim to fame. 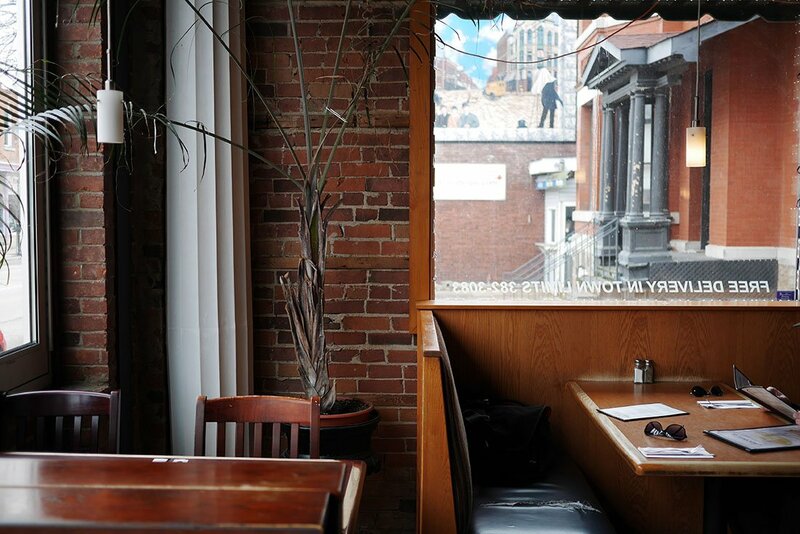 Inside the restaurant itself is a striking decor with an interesting blend of themes at work. 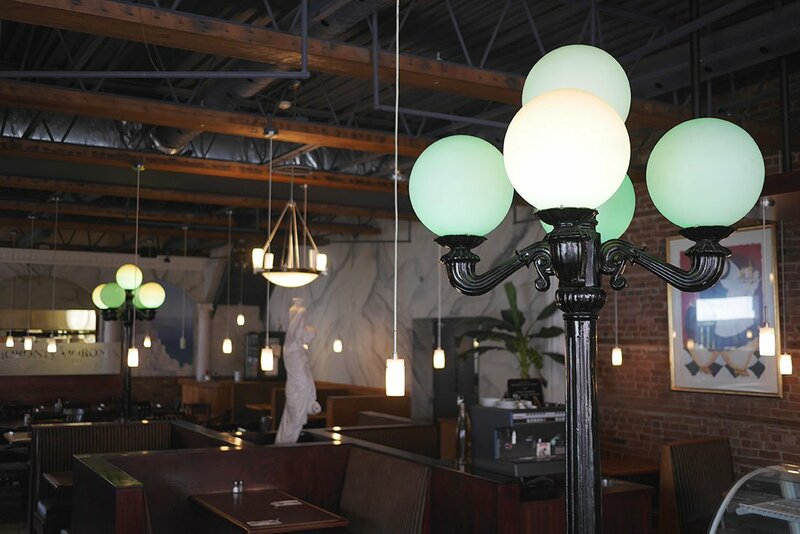 The exposed brick walls, vintage street lights, and Greco-Roman ambience give you the feeling of eating in a snazzy Manhattan resto-bistro. For breakfast, Heidi and I both went with a true classic: the $6.99 breakfast special. 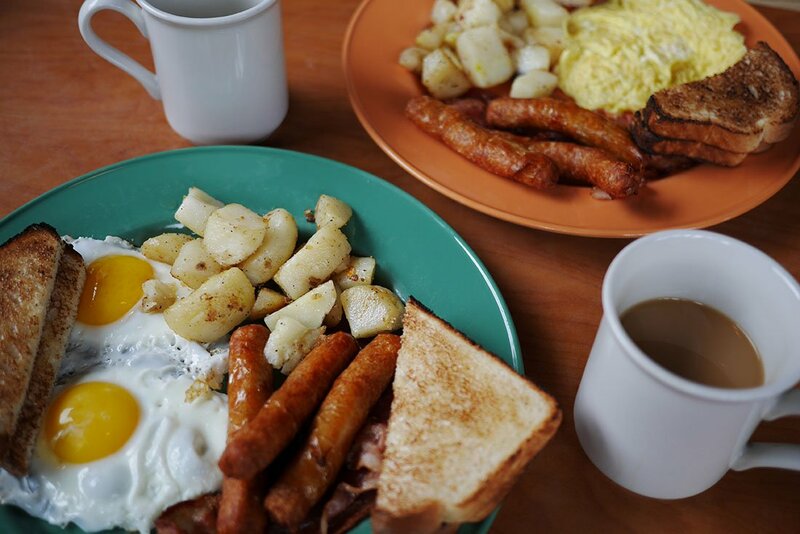 Two eggs, bacon, sausage or ham, toast and homefries. After a most satisfying breakfast, Heidi and I crossed the street to peruse the literary treasures within Beggars Banquet Books! 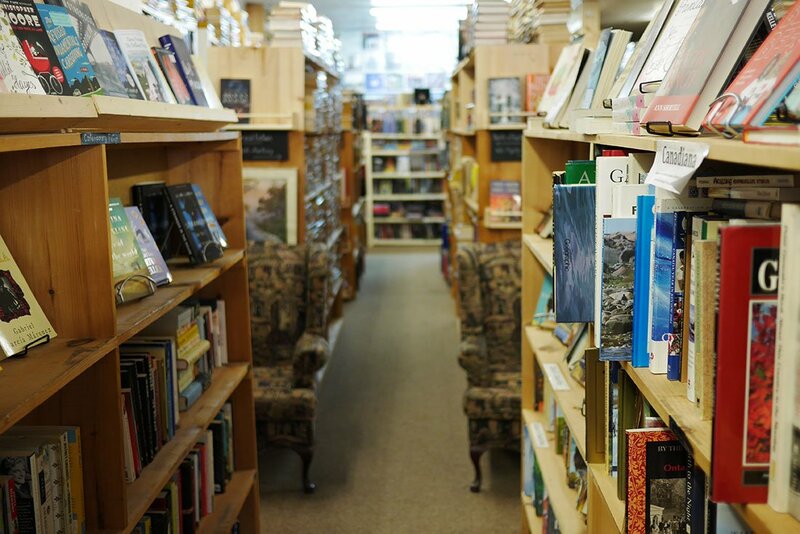 This quaint and expansive new and used bookstore has an amazing selection of books, as well as vintage vinyl and other items in the super cool Dragon Records section. 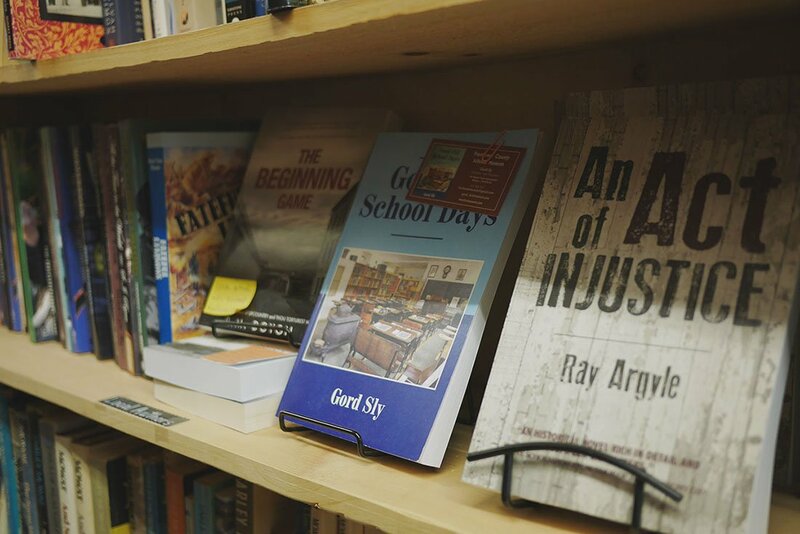 There is also an impressive collection of Canadian authors ranging from local writers to legendary masters like Farley Mowat, Mordecai Richler and beyond. There’s just something about an independent bookstore that gets me every time. 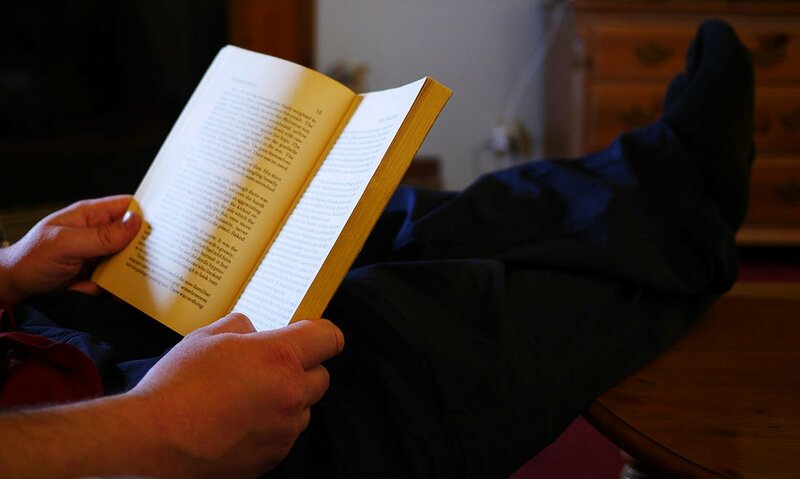 The inviting armchairs, the infinite compendium of stories and information to absorb, and that spellbinding old book smell. Booklovers, you know what I’m talking about. 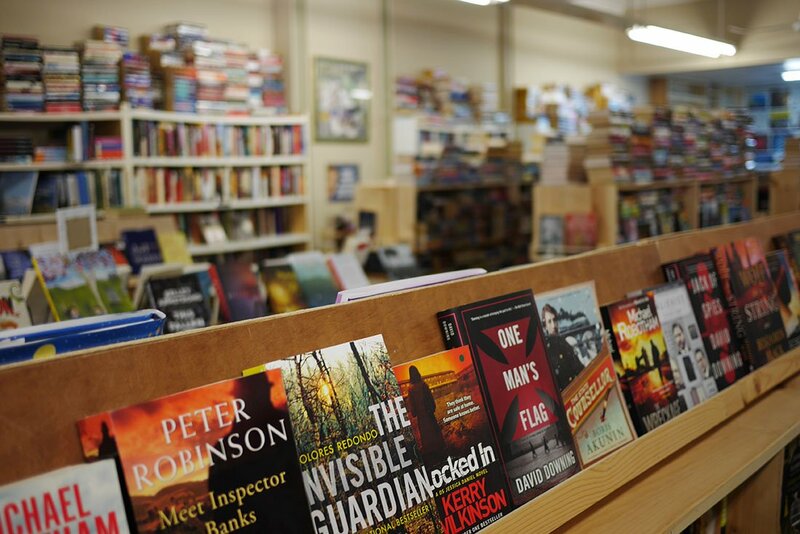 Heidi and I spent close to an hour snooping around the store perusing the books with attentive fervour. 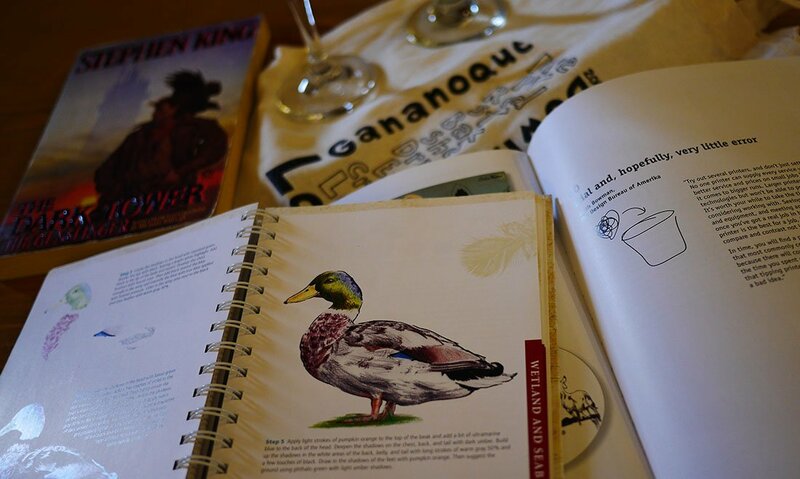 Heidi, who is a rather skilled artist and illustrator selected a copy of Identify and Draw North American Birds – and I chose an illustrated edition of Stephen King’s The Dark Tower Book 1. I am a sucker for a good fantasy saga, yet strangely enough, I’ve never read this famous series. We could have easily spent the rest of the afternoon shopping around in Beggars Banquet, but we had to continue to our next stop – for yet another inspirational and creatively evocative experience. 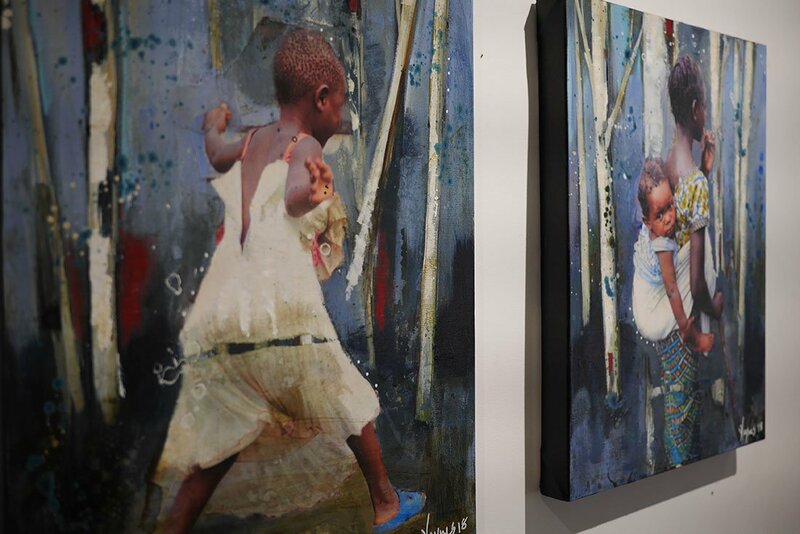 A short walk down King Street brought us to the renowned; Heather Haynes Gallery. I’ve mentioned this gallery in previous blog assignments but had never had the pleasure of visiting Heather’s gallery until now. We were fortunate to visit Heather’s gallery during a visiting exhibit of artwork by The Arts & Letters Club of Toronto. 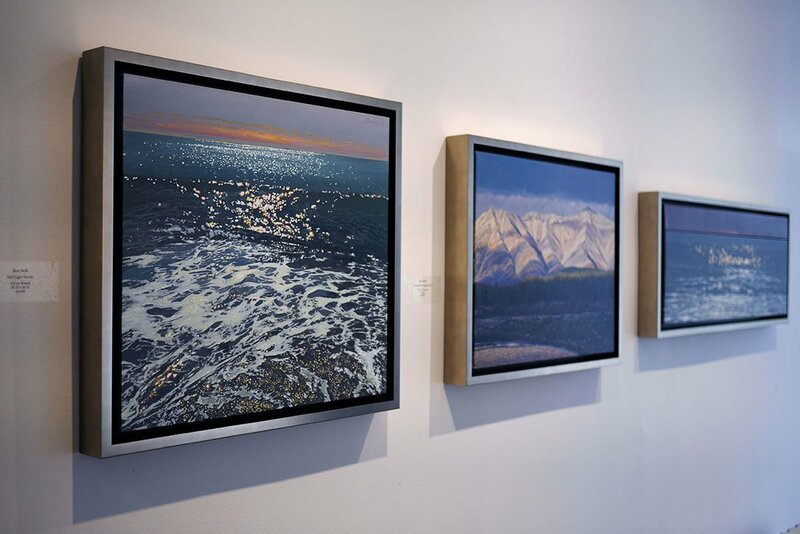 I was particularly taken with Ron Bolt’s “Surf Light Pacific,” which was a striking depiction of sunlight refracting off of the surf. The way that the artist captured the behaviour of light was mind-blowing. 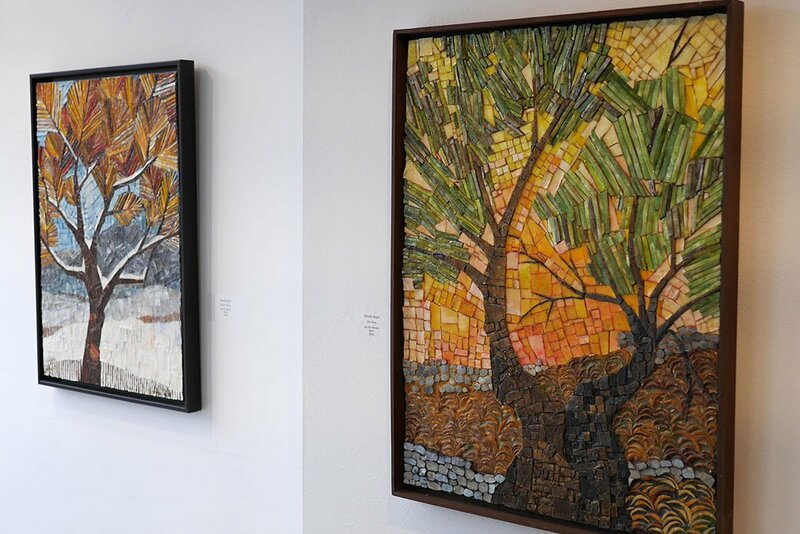 I also love mosaic – and was captivated with the work of Wendy Boyd. I’ve always loved mosaics, as there is something both ancient and beautifully tactile about this art form that speaks to a technique that dates back to the days of ancient Greece. 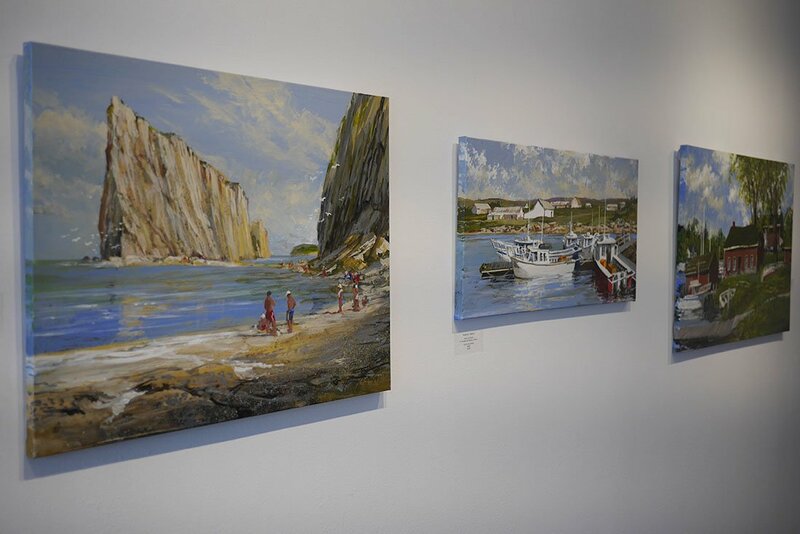 We were also very happy to get a look at Heather’s own art – and absolutely loved the Nostalgia collection with its delightful marriage of bright colour and vintage imagery. 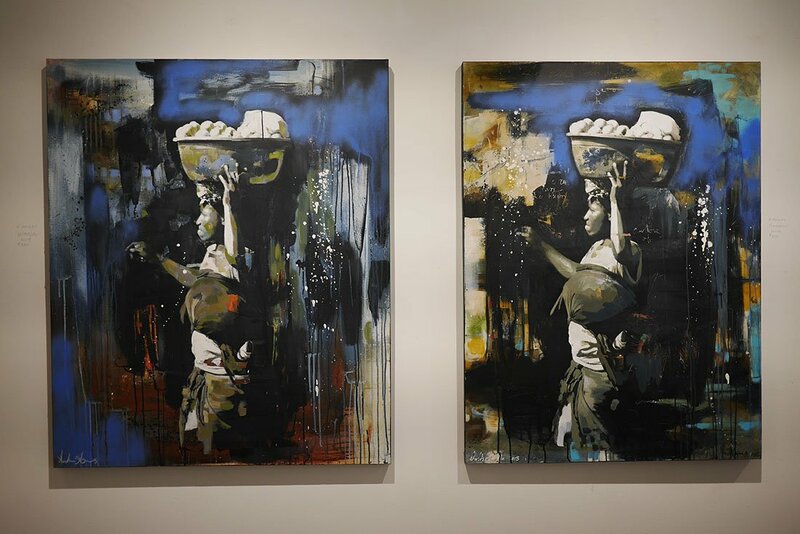 I have always been a big fan of Heather’s work, particularly her support of communities in Rwanda and The Congo. 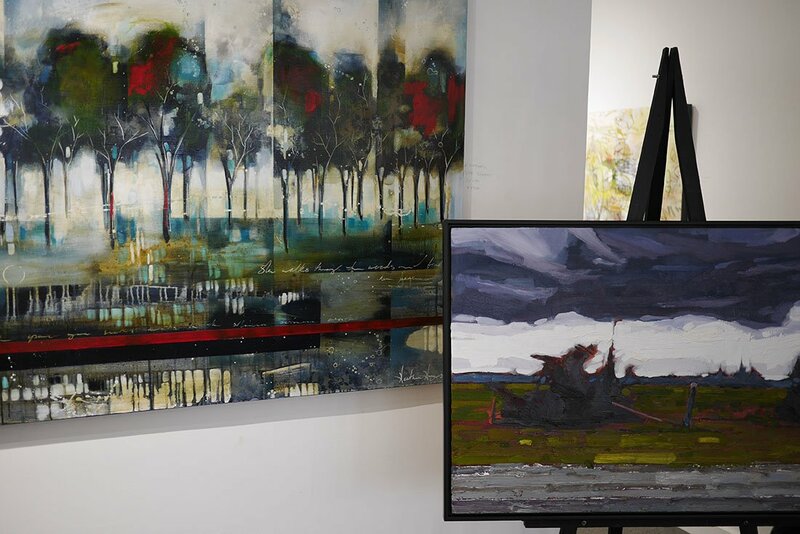 After an inspiring visit to the gallery, it was abundantly clear that Heidi and I will have to make the time to visit again and explore more of Gananoque’s local art community. After first laying eyes on the Glen House’s Southern facade from the end of their dock – I was amazed by just how beautiful it really is. 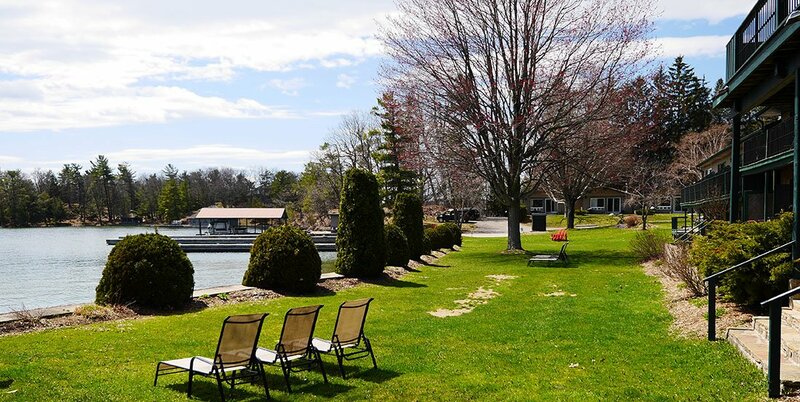 The house proper, (white painted section) looks South across the St. Lawrence with a striking radiance that has been a shining beacon to boaters and travellers for generations. Her age doesn’t show, however, and the immaculate cottage is made only more grand by the extensive wings that embrace it. After such an eye-popping introduction to the Glen House’s exterior, we were anxious to check in and get a look at our luxurious lodgings. 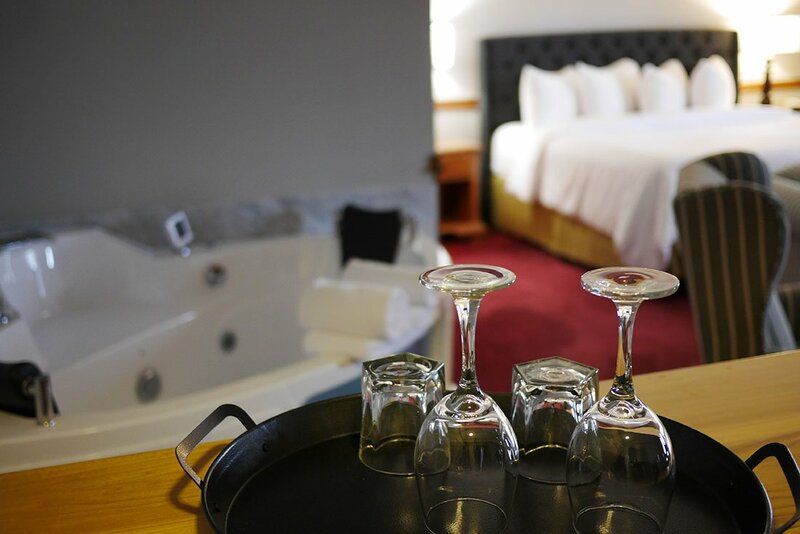 We would be spending the night in one of The Glen House’s legendary Riverfront Jacuzzi suites with an elevated view of the river. When we opened the door to our room we were met with a lavish sight that gave me pause to promptly remove my jaw from the floor. 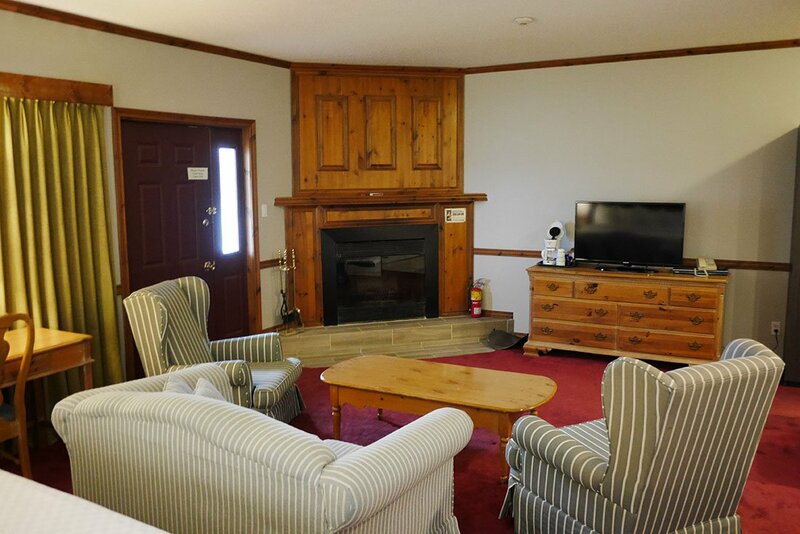 This immaculate room sported a king-size bed, an inviting sitting area with a fireplace, and state-of-the-art jacuzzi. There was also a balcony overlooking the river, providing some spectacular views. 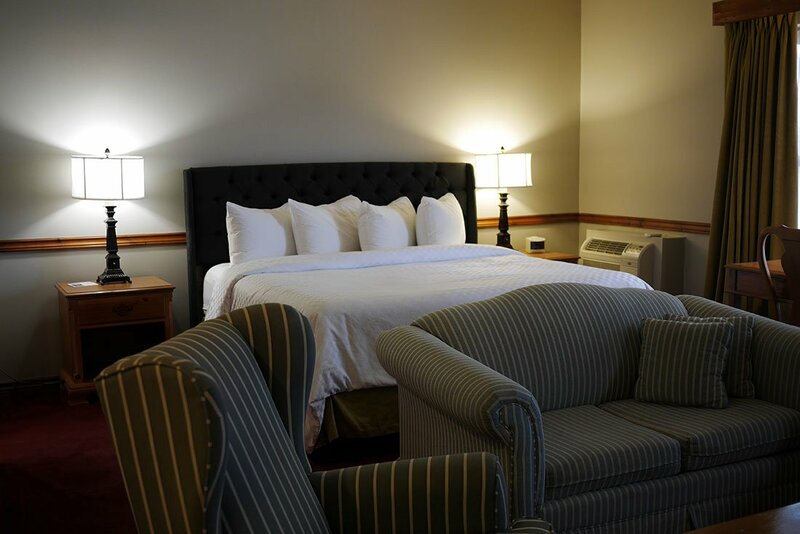 Still inspired by our exploration of downtown Gananoque, we were content to make use of the comfortable armchairs in our suite, and spend some time relaxing. 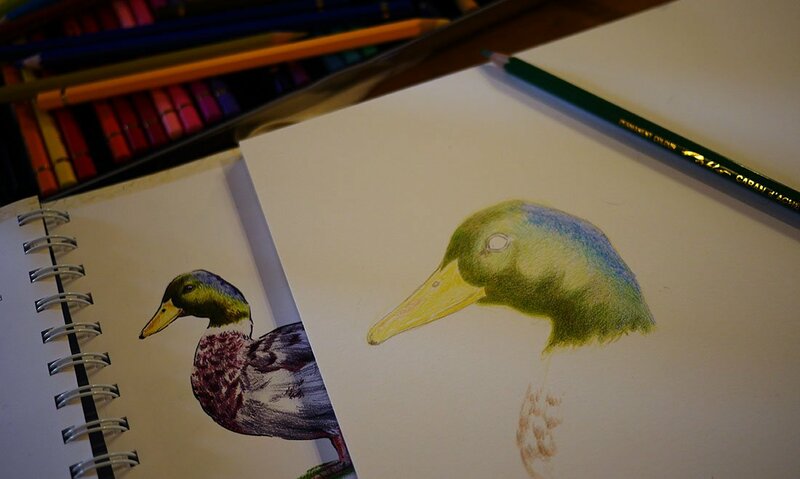 I read the first few chapters of my book, while Heidi broke out her sketchbook and started drawing for the first time in months. It seemed rather fitting to pass the time with a good book, looking up every now and then to watch Heidi as she drew. Coincidentally, the famous 1000 Islands Writers Festival was just wrapping up as we arrived in Gananoque that day. Although Heidi and I were unable to attend the festival, we still made a point to enjoy some reading by the river as it were. The sky had grown dark and a cold, steady rain was falling outside as we made our way downstairs and into the main building for dinner. Truth be told, the unpleasant weather outside only served to make the stately Shipman’s Dining Room feel all the cozier and more inviting. As we stepped into the dining room the air was warm and filled with the welcome sound crackling flames within a nearby hearth. 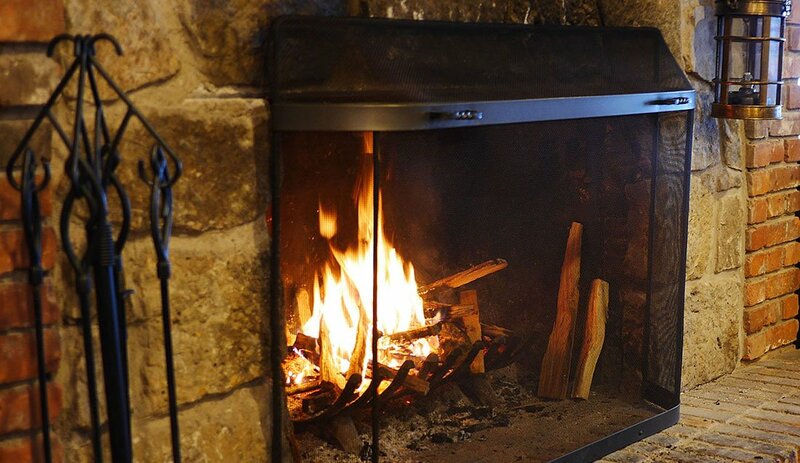 While waiting to be seated, I couldn’t help but wonder – over the past 120+ years, just how many travellers would land their boats at The Glen House’s moorings and step in from a similarly rough, cold choppy day to warm their hands by this very fireplace. The venerable hearth and grand dining area beyond spoke to the grand and fabled era of the legendary River Life that is very much alive and well today. Our host was quick to greet us, and we were shown to an intimate window-side table in the dining area’s sun porch, with a spectacular view of the south lawn and river beyond. Not even a rainy, cloudy day could defeat the sheer beauty all around us. As we enjoyed some pre-dinner cocktails we could only stare out at that wonderful view and talk about how gorgeous it was. 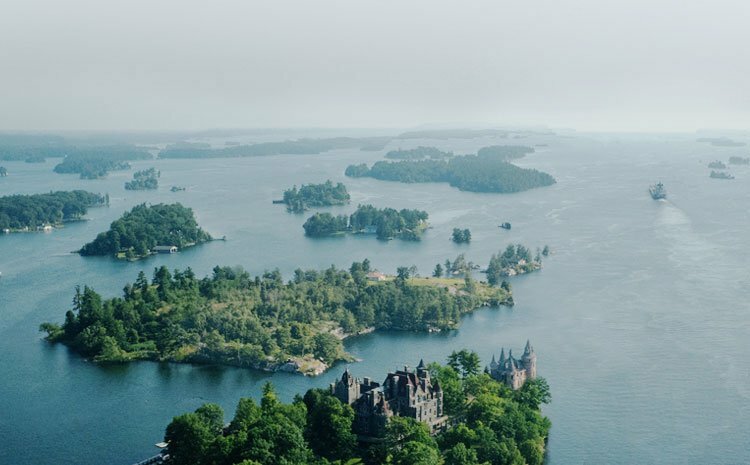 Few things on this earth are as beautiful as the 1000 Islands. 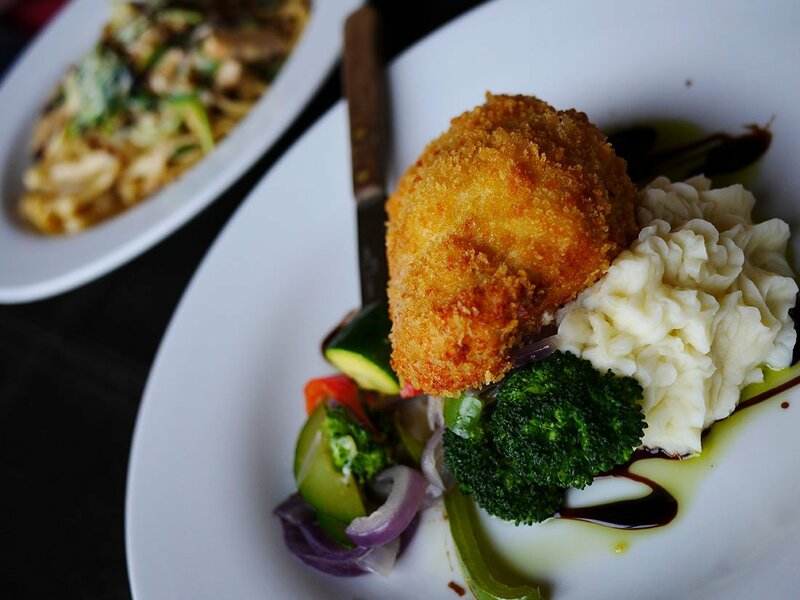 For dinner, Heidi picked the house-made chicken cordon bleu, which sported a generous portion of succulent panko crusted breast meat, stuffed with a decadent combination of brie and prosciutto ham. This bountiful dish also came arranged with mashed potato and perfectly cooked (al dente) veggies. 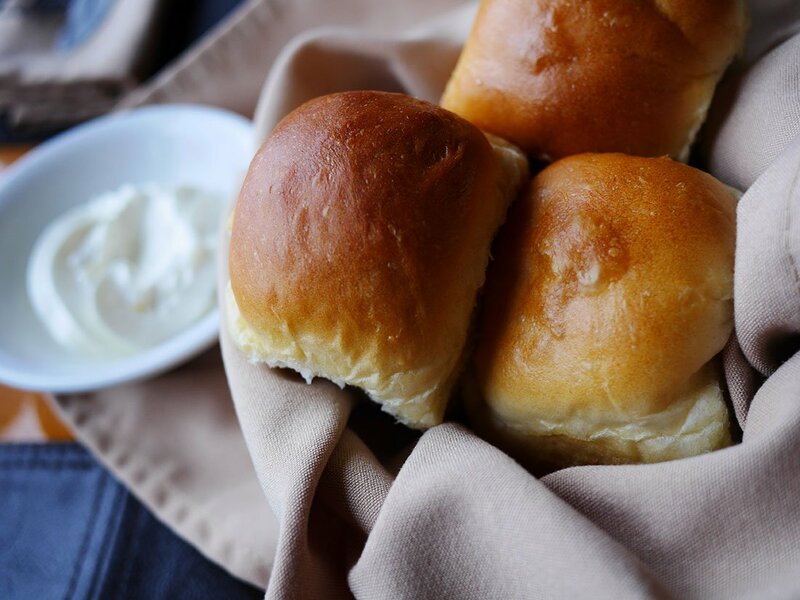 It cordon-bleu our minds. 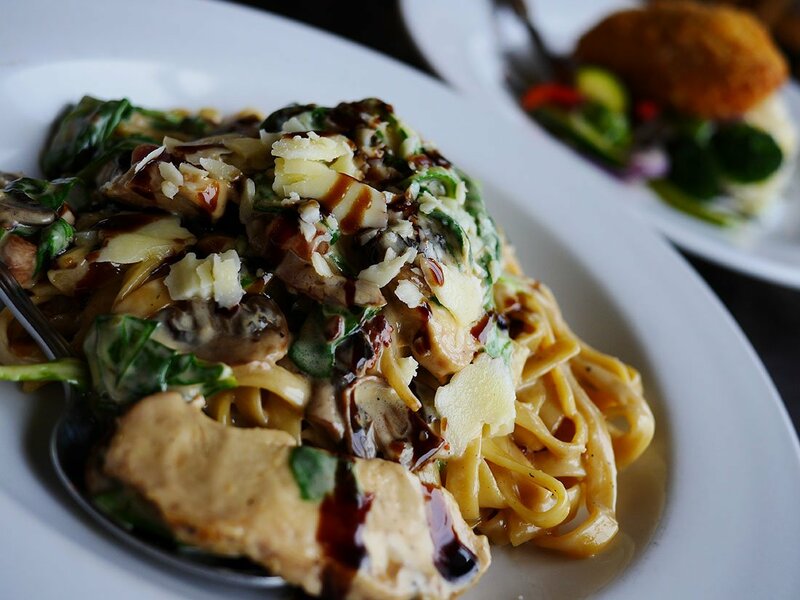 I went with the grilled chicken fettucini, consisting of zesty red onions, mushrooms, and bacon (yes, bacon) tossed in the kitchen’s signature garlic cream sauce and finished with wilted baby spinach and grated flakes of aged parmesan. It was also drizzled with a dazzling balsamic that resulted in a unique version of a classic dish with a menagerie of pleasing flavours. 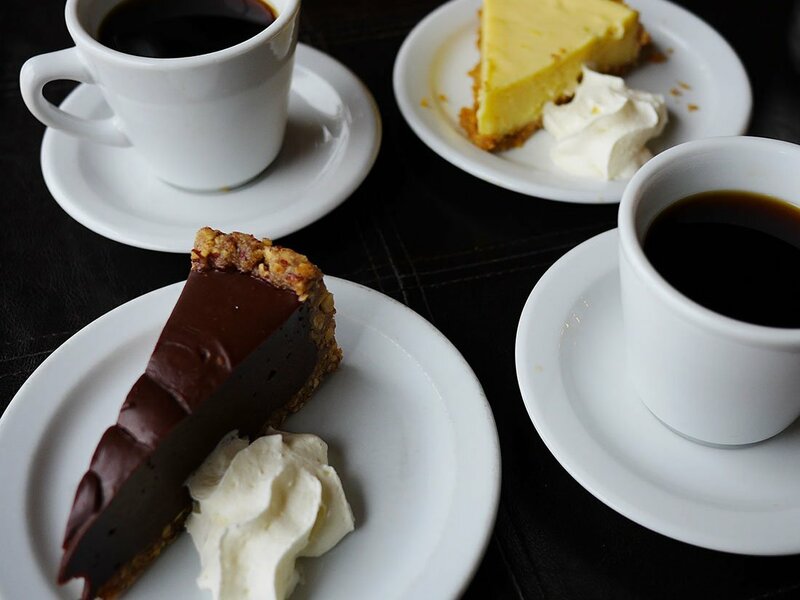 As though the amazing entree’s we devoured weren’t awesome enough – we also indulged ourselves with a decadent dessert. Heidi ordered a slice of chocolate truffle pie which was so rich and delicious that all I got was a smack across the knuckle from Heidi’s fork when I tried to steal a taste of it. Oh well. The key-lime pie that I requested was more than a suitable consolation prize. In fact, it was the best I’ve tasted this far North Key Largo. Full disclosure. I didn’t share any of it. After spending the night in the most comfortable King-size bed we have ever slept in – it was quite the challenge to get back out of it. The prospect of coffee, and breakfast, however, provided enough incentive to get us up and moving around. The clouds were finally breaking up revealing a stunning blue sky and warm sunshine to greet us. Thanks to Shipman’s plentiful breakfast buffet we had a good spread of items to choose from such as scrambled eggs, french toast, sausage, bacon, homefries as well as lighter fare like fruit salad and yogurt. 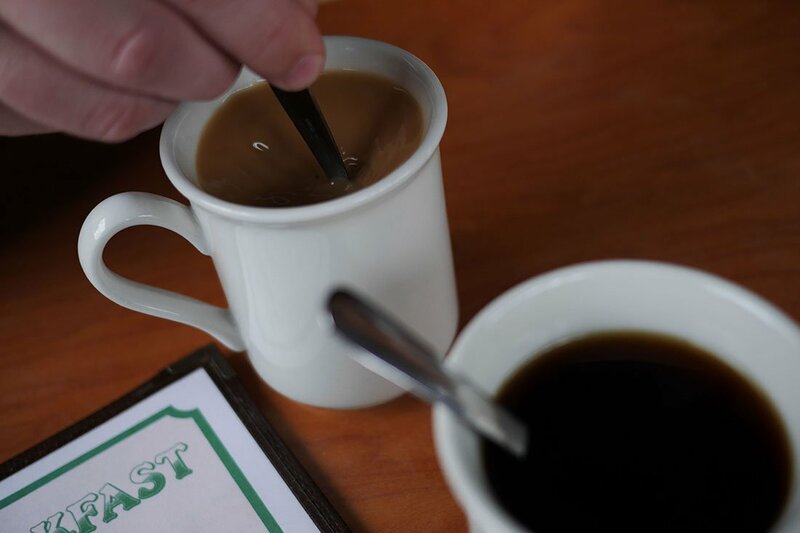 After filling our plates, and several cups of (heavenly) coffee we were more than ready to face the day – and explore the resort! 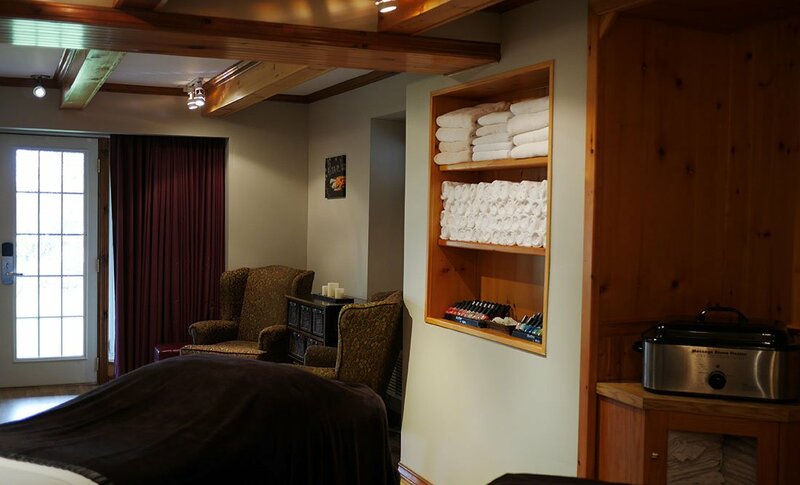 In addition to the delectable dining, and creature comforts of The Glen House’s immaculate suites, guests can also enjoy a proper pampering in the resort’s fully equipped spa. 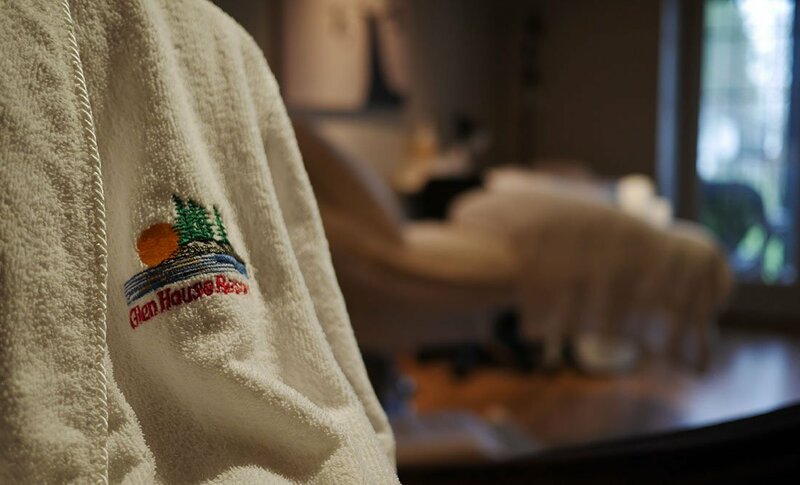 Everything from mani-pedis, to hot rock massages, mud wraps and beyond are available on the Glen House Spa’s menu making this an incredible place to de-stress amid the natural beauty of The 1000 Islands. 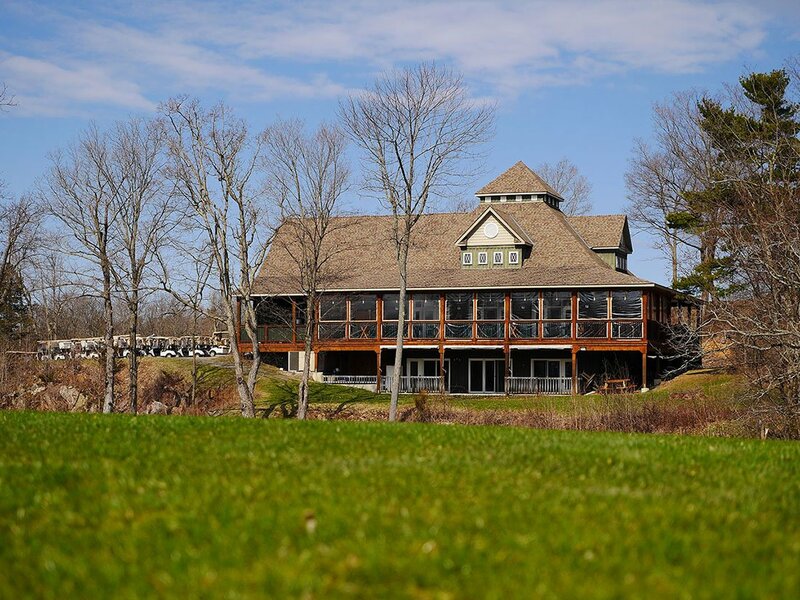 If luxurious accommodations, exquisite dining, gorgeous riverfront views and rejuvenating spa experiences aren’t enough – The Glen House Resort is also home to Smuggler’s Glen Golf Course – which is easily one of the most beautiful and popular courses in the region. This visually stunning course first opened in 2005, and in the years since – has quickly become a prime destination for golfers from all over the world. We were privileged to be given a private tour of the grounds by Director of Golf: Jason Boyce. Throughout our tour amid the breathtaking landscapes, Jason described how the course was built and designed in such a manner that respects the natural qualities of the surrounding land. 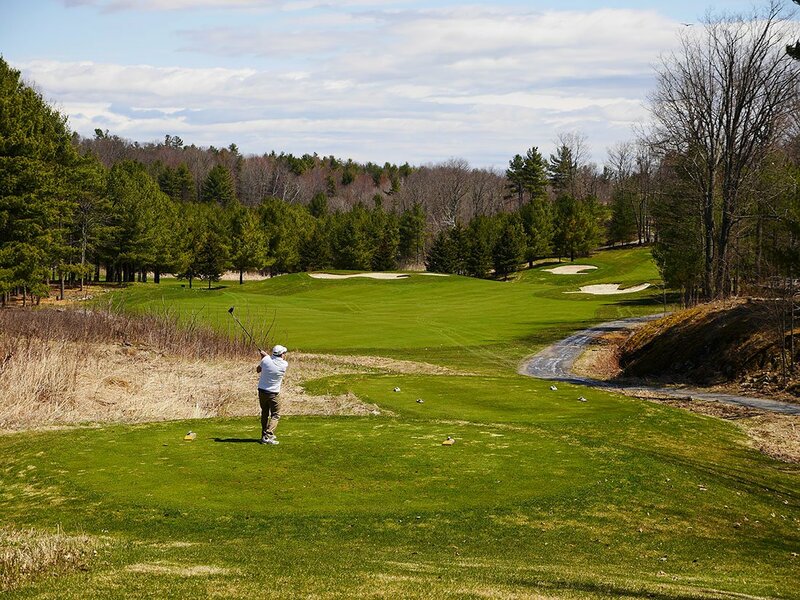 In many cases, the natural elevation of the terrain directly influenced the design of the course. 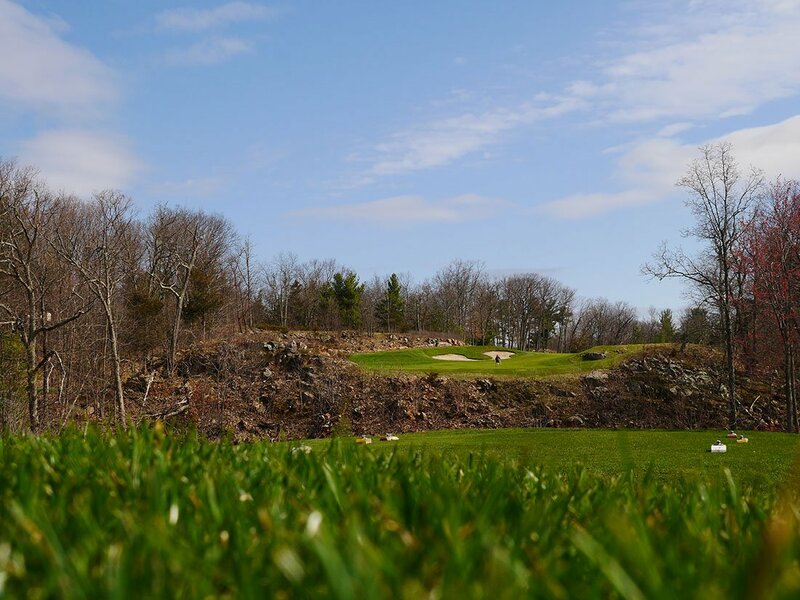 Smuggler’s Glen is situated on the edge of Thousand Islands National Park and appears as though the rolling emerald fields of the fairways are indeed a natural part of the land itself. The grass is so soft you might as well be stepping on a cashmere rug. We were also blown away by how green everything was this early in the season. Several guests were out golfing as we made our way around the course. Many of them were enjoying their first day out this year. I’ve never golfed before in my entire life, but I truly understood their sense of excitement and joy to be out on the greens, especially after a particularly cold and nasty winter. Throughout our tour of the golf course, I found myself thinking of my grandfather, who once let me drive his golf cart when I was 12. He could have taught Happy Gilmore a thing or two about the famous screaming putter-toss, but that’s another story altogether. Suffice to say that I imagined him somewhere in the afterlife playing as many rounds as he pleases on a course just like this. By the time we made our way back to the clubhouse, I was definitely feeling the itch. We’ll have to make a point of coming back – so that I can try my hand at this beloved and ancient sport. I can see how so many people enjoy it so much. Bright sunshine, emerald fields, and a sense of peace and quiet that completely disconnect you from the outside world. 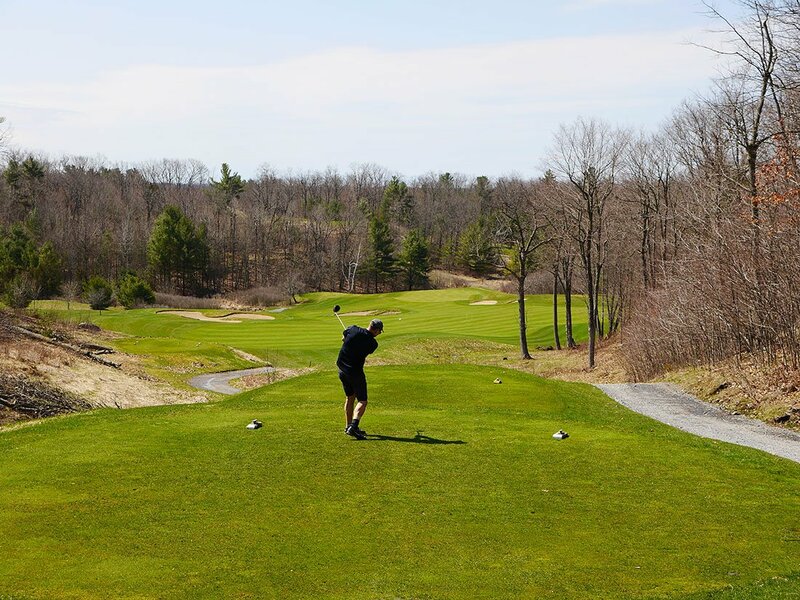 The best part is that both the clubhouse and golf course at Smuggler’s Glen are open to the public making this a fantastic place to stop for lunch, or a few rounds while exploring the 1000 Islands region! We’ve reached the end of this particular story, but the adventure is just getting started! 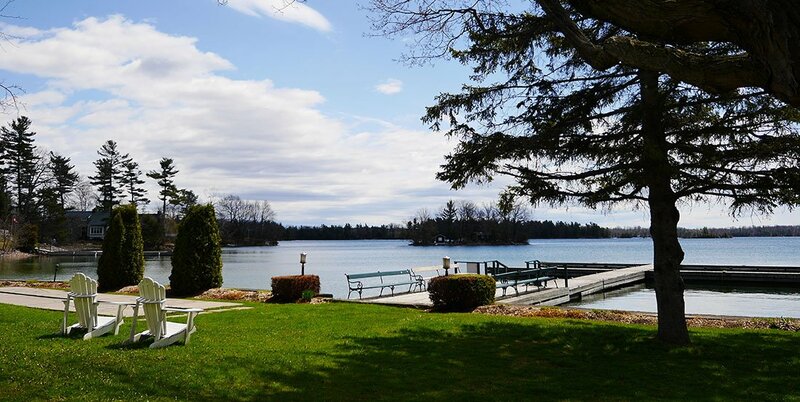 We hope that this post has inspired you to come visit The 1000 Islands and enjoy a well-deserved escape of your own! To make things easy, we’ve included a handy Google Map that tracks our route. 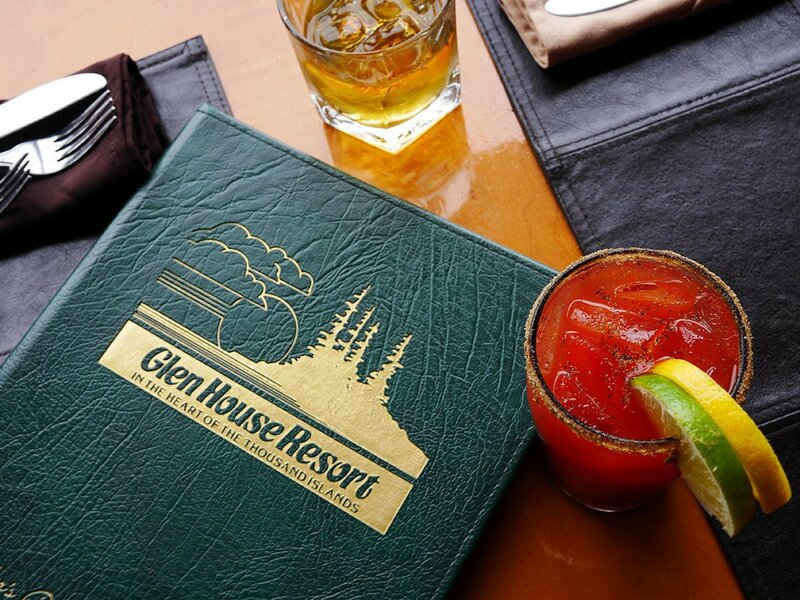 For more information about specials and packages, check out The Glen House’s website! I really enjoyed. Its Nice To discover new places To visite. Thank you. Loved reading this. Spent several anniversary celebration weekends at The Glen House Resort over the years. Always beautiful and relaxing. We had our family reunions there for several years. Glad to hear the dining room is back to its glory. And yes the golfing really is spectacular.